I'd rather listen to Sarah Brightman than watch her. Her voice is lovely, but very small. Her technique, I think, is miniscule. She does not belong in operatic repertoire. All that criticism out of the way, I'll say this is a most delightful album! (Surprise!). I'm weary of hearing Bocelli, who I find sometimes pleasant at best, but essentially boring, so forget the first number. "There's No One Like You" is gorgeous. The two duets with young Jose Cura are sensational, although that's because of Cura, who has a stunning voice and with his singing and acting skills and appearance/personality ought to be a much bigger star than Bocelli. Any of you who haven't: listen to him, watch him when you can. This is THE big tenor star on the rise. The "Aranjuez" number by Brightman is ever so appealing, as is "In Trutino". Yes, her voice is too small for the "La Wally" aria, but it's pretty nonetheless, as, of course, is "O mio babbino caro." All in all, this CD is somehow just an enjoyable listen. I even like her read on the Gypsy Kings number. This album is particularly relaxing. I love to kick back with a glass of wine in a comfortable chair with my eyes closed and just listen. Sarah's voice is complemented by Andrea Bocelli on the title track and Jose Cura on several others. The material runs from classical to pop, all with an operatic flavor. 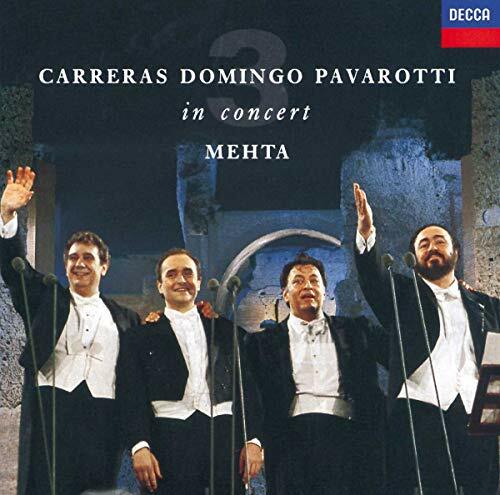 This is a great album to ease into opera or classical appreciation with. It is not true opera, but emulates some of the vocal and orchestral stylings associated with classical opera. Classical "purists" should look elswhere. Sarah puts on a strong performance, exhibiting a multitude of qualities with her voice, ranging from strength to wispy warblings and everything in between. She even speaks between the final two tracks, recorded live. Her speaking voice is a surprise! If you enjoy relaxing music in a classical style, you will enjoy this CD. I would put this in her top three recordings, alongside "Eden" and "La Luna." Whoever said that Miss Brightman has a thin voice is crazy! I must say that this is one of my most listend to Sarah cds. I wish that some people would just get over the fact that she has a small voice sometimes, and just listen to the music. For heaven sakes, she is famous and it making more money than i ever will, she can sing bad all she wants!! who are we to say anything different?? Go to one of her concerts. It is the most amazing thing. If you close your eyes, you will literally think that you are in heaven!! Because, obviously, she is the "Angel of Music"!!! I think that Miss Brightman deserves 2 thumbs up!! BRAVO!! Miss Brightman sing like a little angel and the song become very nice and heartfelt. She is a tremendous vocalist that put many singers to shame with her sheer tallent and poise. Ok, so it is not high art or culture but it is fun album with great songs. Highly Recommended. I liked this CD for a little while when I didn't know of any singers that could sing better than her. She sounds okay on songs that are written for her because they make her voice sound less breathy and thin. Her voice is "sweet" but very thin. 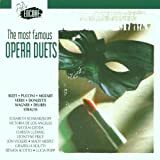 I have heard singers who have pretty voices that aren't so dramatic and full of vibrato as some of the other reviewers complain of opera singers. When I received Songo I was first stuck at how different it was from Romanza. At first there were many songs I instantly loved (Conto Della Terra, Songo, Cantico, Immenso, I Love Rossini, Come Un Fiurme Tu and A Mio Padre) are all beautifully done with great emotion in Bocelli's voice. And there were a few songs I did not like at first (The Prayer, O Mare E Tu, and nel Cuore Lei); But as I continued to listen, I have come to love the whole CD and even find the four songs, I didn't initially like, to be fantastic and maybe the four best on the CD. I guess it just took me getting use to the Vocal harmonies between Celine Dion and Bocelli on the Prayer; Now I think The Prayer is one of Music histories most beautiful songs, Dion and Bocelli's soaring vocals are outstanding and the switching between Italian and English is so well done; Dulce Ponteswith Bocelli on O Mare E Tu is a truly hypnotic song and has strange middle eastern twist to it, that for Bocelli, at first, I did not get, BUT as I have played it more and more I have grow to love it, I just love Pontes seductive voice as she starts off the song and then Bocelli's comes in with his tenor voice singing "Ammore Mio" like he is struck by her seductive voice and I think its just its just fantastic, and very romantic. I love the way Bocelli and Pontes voices play with the music, it just draws me in; Eros Ramazzotti with Bocelli on Nel Cuore Lei is a very good Duet, It took me a little bit to get use to Eros' Voice, But now I think of him as a sort of Zucchero and I enjoy Nel Cuore immensely. Sometimes the songs you don't love at first, become the songs you love the most. Songo is a wonderful song it's so beautifully done, and Songo is a Great CD; it is a must have for the Bocelli fan and any fan of great singing and beautiful music. To me its right there with Romanza. Pseudo-Pavarotti for the tone deaf? As a die-hard Andrea Bocelli fan, I must say (AGAIN) that I'm so sick and tired of the so-called "critics" who keep trashing him on account of his "vocal limitations." Okay, so he doesn't have too much power, but his voice is so much fun to listen to that...no wonder so many Americans have fallen for him, ESPECIALLY with this album! The material despite the intense power a lot of them seem to have is material that DEFINITELY does the man justice. 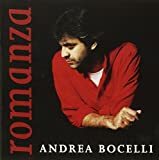 Although I like "Romanza" MUCH BETTER, since THIS is the more classical album, of which (unsurprisingly) 12 used copies are available here (this album sold 10 million plus in US!) and since I prefer his pop side over his classical one, obviously this is the REAL Bocelli. 1. Canto Della Terra. Very passionate and VERY ELECTRIFYING love song on which Andrea gives one of his best performances. This song can be listened to over and over and over again at max volume and yet it takes you on a whole new journey through time and space each time. Absolutely amazing! 2. The Prayer. One of the most touching songs I've ever heard, this is Andrea's biggest hit on American radio right now. Céline Dion also gives such an amazing vocal performance that obviously BOTH of them bring me to tears. And the way they sing the bridge in Italian makes me think "More Bocelli duets should be like this." He isn't Pseudo-Pavarotti to me! Yes, I've heard many real opera singers before Bocelli, and I hope to try out others soon such as Russell Watson, but Andrea's no Ricky Martin or Sisqo. 3. The title track. Bocelli sang this on his American Dream concert last year, and it just took my breath away. 4. Mai Più Così Lontano. He once said that this was his favorite out of all the songs he's sung because it reminds him of his father. I humbly agree, because it reminds me of my mother and how much I wish for her to be with my family more often. Well, that's it for my yin-yang. You might also want to be on the lookout for the Sogno 2-CD set (that has 2 music videos on it) and/or, if you like to buy singles, the 4-track Canto Della Terra CD single. E-mail me at RiveraRealnice25@aol.com if you'd like to know where you can find them. Until Andrea's next album, it's "time to say goodbye." I hate to poo-poo on something that gives others joy, but this CD is aurally repugnant. If you like Kenny G., Celine Dion, and John Tesh, then please, ignore this review. For the rest, let me record my feelings. Simply stated, just because someone with pop sensibilities spends some time on musical training, does not make them a musician, let alone an elite musician. And it certainly does not make this CD listenable. The arrangements drip with processed cheese. Bocelli's phrasing is reminiscent of a lounge act (glissandos from nearly every note? Come on, man). And his musical instincts seem best suited for soundtracks of bad Disney movie rip-offs (see track 2). But, most egregious of Bocelli's sins on this CD is that every track is ensnared in contemporary music's worst trap: Flavoring recycled popular melodies/themes with "something legitimate" in order to make people feel like they've "really heard something". No jazz musician counts Kenny G. among their ranks. Pop music. Jazz flavoring. But he's the number 1 selling "jazz artist" of all time. Elvis is neither a Jazz, nor a Blues, nor a Rock N' Roll artist. Pop music. Black "flavoring". (Jazz, Blues, and Rock N' Roll--a jazz/blues derivative--were once all considered art). Similarly, Elvis holds all kinds of sales records. And so it is with Bocelli (who, mercifully, does not enjoy that kind of success). So, if you have the need to fill your life with easy listening music, I suppose this CD is a good choice for you. But, please, please, pretty please with sugar and cherries, don't act like you've been transported by the musicianship of this tripe. Enjoy it. But don't call it art. This CD is, at best, entertainment--and then, only for those with numbed stomachs. My mom bought this cd a while back because it was on sale. Now don't get me wrong, Andrea has a beautiful voice. Personally , I'd much rather listen to him than Pavarotti or any other opera singer. I don't know about his technical abilities, but unlike other opera singers his voice is warm and soulful. So what's the problem? This is the trouble with opera singers who try to sing pop songs. You see, the timing and phrasing used in pop music is just completely different. And often the composers who write these crossover songs for singers like Bocelli don't have the faintest clue what makes and emotional and touching pop song. To make a long story short, pop efforts by classical singers sound more like muzak than anything else. You know, the kind of music they play in expensive stores and restaurants. The orchestrations are overblown and the pop instruments used sound pretty cheesy and are actually nothing special. One of the most beautiful CD's I've ever listened to. There comes a time, once maybe every 5 years or so, an artist creates an album where every song is perfectly performed, perfectly sung. To change even the slightest detail...the slightest note, would be the worst thing that could happen to this album. I've listened to this CD over & over and become more impressed with it every time. 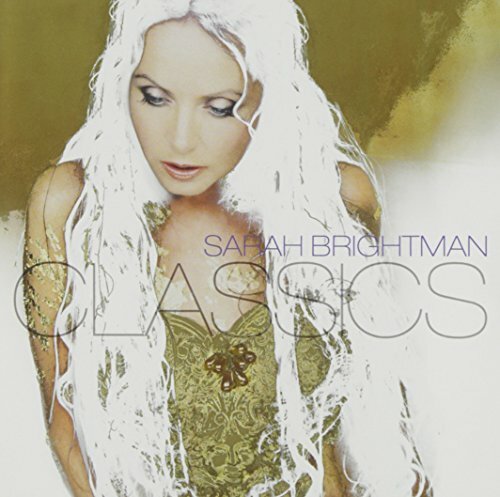 This album, Sarah Brightman's Eden, is the epitomy of what beautiful music should be. Her voice is flawless, almost angelic. She especially stands out in the album's opening. 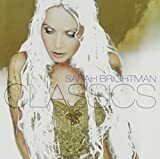 In Paradisium opens this album with Sarah Brightman beautifully, emotionally, grabbing the heart of the listener from the get-go. It does not let up there! It's a shame this CD had to end, but you can always press play once again! My favorites are Scene D'Amour, Dust in the Wind, Il Lio Cuore, and the title track, Eden. Thank you Sarah Brightman, for showing us what beautiful music is once again!! Don't miss this one! If you have this CD, you already know, if you don't, please don't go another day without hearing it. Sarah Is Still Shining Bright! I love this CD! I listen to it all the time, and I couldn't live without it! 1. In Paradisum is a great beginning to this CD and works as a wonderful introduction. 2. Eden, the title track is classic Sarah! The lyrics are slightly confusing but the song is great! 3. So Many Things is not one of my favorites. It's a little slow, but Sarah's voice is gorgeous! 6. Dust In The Wind is a beautiful, beautiful song. My dad thought that Sarah ruined this song and showed me the original version (by Kansas? Chicago? I get all these place name bands mixed up-) and anyway who let those guys record? Sarah does a much better job!!! 7. Il Mio Cuore Va is lovely and delicate, and I can't get enough of it as the English version is one of my favorite songs ever. 8. Deliver Me is a different sort of song for Sarah and not what she usually does, but she does it well and it's fun to sing with. 9. Un Jour Il Viendra- I must confess that I cannot remember this song! So sorry! 10. Nella Fantasia- a gorgeous song! Incidentally, if you like it, there's a guy named Russell Watson or something like that who does a great version of it too. 11. Tu is a fun song. I wish I knew what the lyrics meant. 12. Lascia Chi'o Pianga is the only song that I am slightly disappointed in. Charlotte Church's version is much better. 13. Only An Ocean Away- I love to sing with this song, it is soo romantic! 14. Scene D'Amour- Another song I discovered watching a skating show, although at the time I did not know the artist was Sarah, I just liked the song! 15. Nessun Dorma is the best classical piece ever written and Sarah does it full justice. You must hear Vanessa Mae's violin version! Well, that's my opinion- Hopefully you will buy this CD and find out for yourself what a great singer Sarah is! The Amazon.com review here is almost just right! Yes, the angelic and fragile voice of Ms. Brightman is one of a kind, and she's doing contemporary music a great service by recording some really fine, unique tunes, in a new pop/classical hybrid. To call her sound "kitsch" is surely an unfair criticism, since Sarah and her collaborators have recorded some of the finest pop CD's ever, and she is especially good, considering the huge amount of true junk is out there. This album does not have the drive and orchestral brilliance of the earlier "Time to Say Goodbye", but is still a near-masterpiece. Listen to "Dust in the Wind", a very underrated pop masterpiece, redone here by Sarah. Indeed, though not perfect, it's tough to find anyone around today with such a high quality of finely done tunes as the divine Sarah! This COULD have been a great album! I am surprised that so many have given this album such positive reviews because it has one fatal flaw: the synthesizer mucking up about half the tracks. Whatever in God's name possessed her, or her producers, to put that godawful synthesizer throughout the album. Here we have these great orchestral backgrounds, only to be mucked up by a cheesy sounding synthesizer. So anyway, I hope her forthcoming albums continue in the same vein of pop mixed with classical sounds, but without the synthesizer which only cheapens the overall sound quality! TAKE ME TO THE HAREM! A MUST FOR EVERY CD COLLECTOR OF SARAH BRIGHTMAN! EXCELLENT, But Perhaps Not Sarah In Tip Top Form! There are 3 Sarah albums that soar above just anything else out there today. 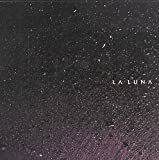 (1) LaLuna,(2) Time To Say Goodbye,(3) Eden..It is asking too much for anyone to continue on such a high level, but this album is just about as good as these three! There are some nifty ,toe-tapping neo-disco tunes here which might even be called joyful, especially the first 3! 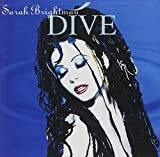 And I admit I first did not really like this CD, but on further playing, it's now among my all-time favorites.On a few tunes, including the title "Harem", Sarah's breathing is very audible, something the sound engineers should have eliminated. 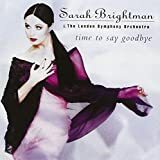 (This is my only criticsm, though) An original here "Till the End of Time" is among Sarah's alltime best, and there are many other worthy moments, including new versions of the tried and true "Wonderful World",and "Strangers in Paradise"..If you're new to Sarah, this is surely the bounciest, least solemn album. I give 5-stars, since this is surely among the best of recent releases, though maybe not quite not up to Sarah's very best! But still many great songs, and another illustrious addition to the Sarah catalogue! Get on board a magic carpet ride with Sarah. "Harem" introduces us to the new Sarah with her coloratura voice & Arabian beats. This sets the tone for the whole album. Later we hear masterpieces such as "Free", "Beautiful" (Sensual), "It's a Beautiful Day" (Exquisite Madame Butterfly-inspired),. This album takes you through a journey of the soul. It's beginning teases us with the quiet melodic Arabian sounds, then kicks in with the full pulse-pounding beats & descending strings. Sarah then pours out her sensuality with meaningful ballads. After this, she gives herself to me by releasing her voice to its maximum abilities in operatic pieces that will "Take Your Breath Away". Buy this album and soar over Baghdad. ..What A Wonderful World.. What A Wonderful Remix!!!!!!!!! When I first heard of Sarah's version of What A Wonderful World, it is definately one of the most beautiful song I had ever heard. I hated this song before, but Sarah takes the song and reinvents it to 'now'.. It sounded fresh as if the song was written yesterday!!! Loved it, though the music was sorrowful but it made me think of even though with all this 'war' going on right now, it made me think... "What A Wonderful World!!" Sarah Brightman and Andrew Lloyd Webber are no longer married to each other, but as I stated above, she's still happily married to his music. I was raised during the Rodgers & Hammerstein era nd it took me time to grow to apprciate Webber's influence on musical drama. Sarah Brightman's performances of Webber's music has been instrumental in my tastes maturing with the development of Broadway musical plays. No matter how often I listen to them, "Phantom of the Opera", "All I Ask of You", "Music of the Night", "Don't Cry For Me, Argentina", "Memory", all remain fresh while the less familiar works become more precious with repeat listening. Also outstanding is the theme song Webber wrote for the Barcelona games and sung by Sarah and Jose Carreras, "Amigos Por Siempre". And don't overlook the devout rendition of "Pie Jesus", a duet with Paul Miles-Kingston, from "Requiem". Other notable voices on the CD are: Michael Crawford, Cliff Richard, and Sir John Gielgud. 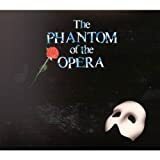 There are those who might not like this CD which is one of my favorites, but the only people I would advise not to buy this are those who just don't like the modern theater music as represented by Andrew Lloyd Webber. 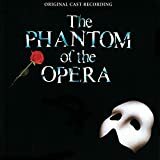 Not many people have a musical written around their voice, but that's what Andrew Lloyd Webber did for ex-wife Sarah Brightman, by creating the classic "Phantom of the Opera" musical. 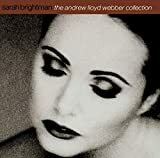 And in "The Andrew Lloyd Webber Collection," Brightman sings various songs from Webber's works -- some mesh with her voice, and some don't. 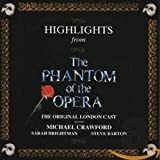 It starts off on a strong note with the gothic "The Phantom Of The Opera," a duet with Michael Crawford. Following that is the ethereal "Unexpected Song," the rich but forgettable "Chanson D'Enfance," and the enchanting "All I Ask Of You," a duet with Cliff Richards. Following a few dud songs are the warm "Love Changes Everything," the Latin-tinged "Amigos Para Siempre (Friends For Life)" with Jose Carreras, and the entertaining duet with John Gielgud, "Gus the Theatre Cat." Brightman starts to falter with "Don't Cry For Me Argentina," "Another Suitcase in Another Hall," and "Memory." Her voice sounds restricted and uneasy, and at times her crystalline vocals sound shrill. "Maclivity: The Mystery Cat" is perhaps the lowest point of "Collection," with Brightman sounding completely weird. But the album rises again with the gently melancholy "Tell Me on a Sunday," soaring "Wishing You Were Somehow Here Again," and finishing up with the majestic "Music of the Night." 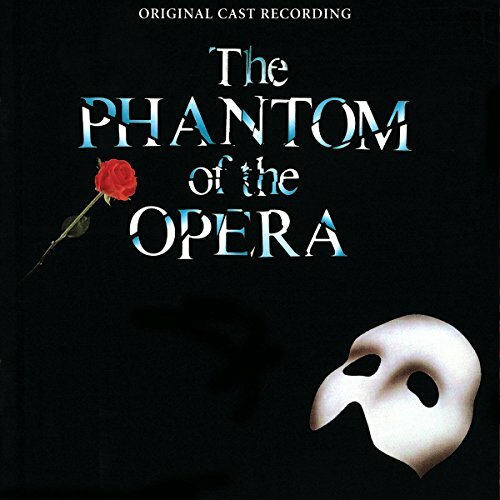 Certain voices are best suited for certain songs, and Brightman's vocals are clearly suited for songs from "Phantom of the Opera" and "Aspects of Love." Some of the songs sound astounding and heartfelt, but some of them just sound strange coming in her rich soprano. Brightman's voice is given a good range -- she can sing in a little high girlish voice, soar like an operatic diva, or just sound sweet. At her best, Brightman can give you goosebumps. In many of the songs, she emotes subtlely, as if she really feels the heartbreak, joy and fear behind the songs. But when her voice is poorly used, as in the "Evita" songs, she just sounds confused. The selection itself can't be faulted -- there's stuff from "Cats," "Phantom," "Evita," and other Webber musicals. And Webber's writing is just beautiful, simple and heartfelt: "In all your fantasies/You always knew/That man and mystery/ Were both in you..."
Sarah Brightman is not in top form in the "Andrew Lloyd Webber Collection," but in several songs she is simply astounding. Flawed but definitely worth checking out. This is a very good compilation of ALW songs. Sarah Brightman is a very good vocalist. Her voice can be shrill sometimes, but the good dominates the bad. The songs are very good choice for a CD. 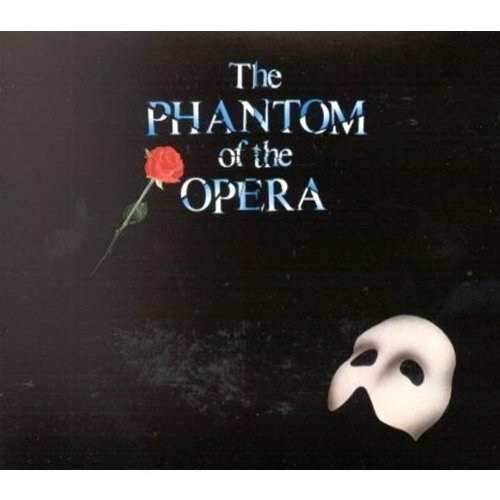 What ALW album would be complete without songs from "Phantom"? Some of the songs are featured on every tribute and compilation album, but there are some hard to find ones. ALW is a very good composer of Popular songs, but they dont seem to work well in his shows. This is the ultimate way to experience him at his best. Her rendition of Chanson D'Enfance is wonderfull. While her version of Don't Cry for me Argentina lacks the bite necessary to listen to it in the context of the play, it is much better as a stand alone song than the original version with Elaine Paige. Sarah sings the song rather than the part. Her delivery of Another Suitcase in Another Hall is just incredible. I can accept the reduction in the marimba part just for her delivery of the opening to each verse. That song alone is worth the money. Otherwise it is quite good. The only song that I feel is anything but strong would be her rendition of Memory. I don't get it and I never will. 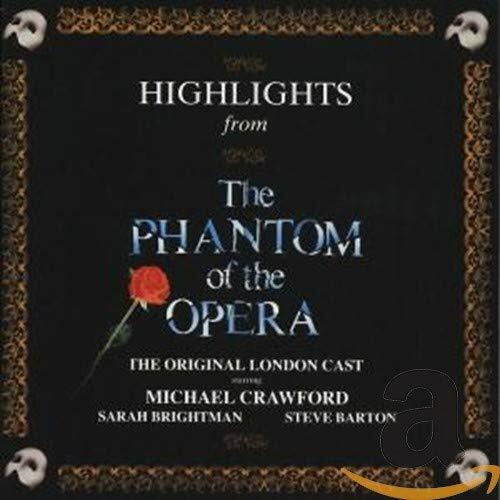 I first saw Brightman as Christine Daae in ALW's "The Phantom of the Opera," in April, 1988. Her voice was both shrill and weak back then and nothing has changed. Don't Cry for Me Argentina and Unexpected Song are the only two songs she can tackle other than Phantom obviously. Otherwise, you'll find yourself skipping through ALW's beautiful work to find something that won't blow your ear drums. Mem'ry is a disaster of epic proportions and should NEVER have been recorded. Not content with the simplistic "crossover" formula, superstar tenor Andrea Bocelli has been pursuing alternative paths since he emerged as a vocal phenomenon in the mid-1990s: operatic classics and contemporary popular song. The singer's last few albums have showcased his love for the former (including homages to his beloved Verdi: the Requiem and Verdi aria collection). 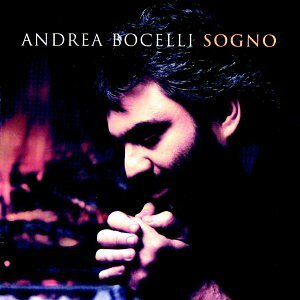 But Cieli di Toscana ("Tuscan Skies") marks a triumphant return to the pop idiom last explored on Sogno, offering a highly varied series of the kind of beautifully crafted contemporary melodies that initially won Bocelli acclaim. Flipping TV channels one evening I was stopped by one of the most powerful and passionate voices I had ever heard during the International Music Festival show from Monaco. It was Andre Bocelli singing L'Abitudine(#10)with Helena, I had never heard of this Bocelli fella before, and didnt even hear the whole song. But the voice made such an impact I made a mental note to try to find this artist. I did, I sampled it and then made the purchase of one of the BEST CD's I have ever heard!! I had never been exposed to this genre of music before but WHAT AN INTRO! Mr. Bocelli's voice can take you soaring like a great bird of prey or to a quiet meadow all within the space of the same song! Yet each song provides a different sparkle like the facets of a dimond, seperate and distinct yet making up a wonderful whole audio sensation! I am hooked! All the songs on the CD are wonderful(having both the Italian and English verse was a nice addition), and #14 L'Ultimo Re is in my opinion one of the greatest love songs ever written and sung!! 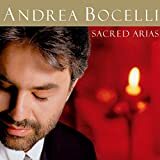 Andra Bocelli's voice is so encompasing the fact that I dont know any Italian didn't affect my enjoyment of this CD one bit! My recommendation.....BUY IT! ENJOY IT! I never though anything could top Romanza but Cieli Di Toscana is absolutely fabulous. It is constantly in my CD players at home and in my car. This album is so brings me so much serenity and is so beautiful its amazing. Bocelli has the most beautiful voice I have ever hear. Its so amazing how gentle and powerful he can sing at the same time and hold the note so beautifully, its such a gift from God. There are so many highlights on these CD Melodramma, Mille Lune Mille Onde, E Sara A Settembre, Resta Qui, L'Abitudine (with Helena such a cute voice), E Mi Manchi Tu (possibly my favorite song of all time), and I'Ultimo Re. This is a MUST BUY for any Bocelli fan and any fan of great singing. Simply one of his best! Andrea Bocelli has a superb voice. You cannot go wrong with this CD. His voice is just so peaceful and is very relaxing and soothing. You cannot go wrong with Cielli di Toscana. 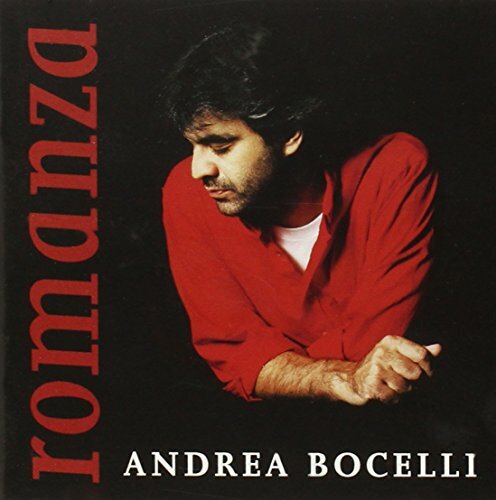 Although I don't live in Tuscany, I do live in Italy parttime now, and I love the music of Andrea Bocelli more than ever (I have all of his CDs and DVDs). Bocelli, a Tuscan, himself (he was born in Lajatico), isn't my favorite when it comes to opera, but I think his voice is perfect for the songs on CIELI DI TOSCANA. He's a singer who puts his heart and soul into everything...and it certainly shows. The fourteen songs on CIELI DI TOSCANA were written by Bocelli and others and they are all pure joy to listen to. They all evoke the blue Tuscan skies, the rolling hills, the groves of olive trees, the hidden treasures tucked away in the ancient villages. Bocelli's voice on all fourteen tracks is at its best. The CD showcases his full range and his full range of abilities. The orchestra is never overpowering and compliments Bocelli wonderfully. And, wonderfully, the lyrics are included in the liner notes. I've learned enough Italian now to understand the songs without the notes, but I need the notes to sing along...something I like to do...but something my family might not like so much. "Il Diavolo e L'Angelo," written by Bocelli, is one of my favorites. It's a bit glossy, but it's so much fun, I didn't mind. And, for those of you who prefer Bocelli "mellow," there's plenty of that on this CD as well. 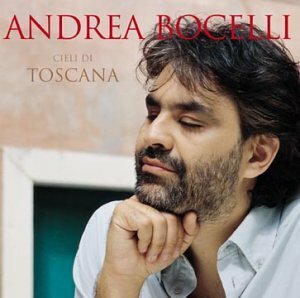 I definitely think CIELI DI TOSCANA is a much more accessible CD than ROMANZA and if you're new to Andrea Bocelli (you shouldn't be), I would begin with either this CD or SOGNO. Both are wonderfully evocative of Italy and both showcase Andrea Bocelli's talent, warmth and love for the country of his birth. A few gripes for the "Angel of Music"
I have only one suggestion for buyers of the new Sarah Brightman CD, "La Luna": DON'T READ THE LYRICS! I mean, how inane! OK. I've gotten used to the dress-up "floozy" style that Ms. Brightman uses to court an audience beyond the mere opera-lover, so I know enough not to dwell on the white-bikini-'neath-gossamer-gown photo, but I have to draw the line at elves. Elves? Yes, not just elves, but the "king of the elves." Didn't New Age ambient music go out with the advent of the nineties? Or maybe I simply outgrew it. So why is such nonsense couched in a haunting melody as that minor movement from one of Beethoven's later symphonies; and why waste such a beautiful, clear, angelic voice on over-mixed, "echoey" nonsense as Hijo de la Luna and Whiter Shade of Pale? Surely our favorite soprano has not run the full gamut of delicate arias and deeply moving love songs (e.g., Time to Say Goodbye) so that she can no longer please the audience whom her more serious attempts won over originally! There are a few bright spots on this CD (such as the Dvorak and Moon River at the end of the final track), and I may eventually be able to allow Brightman's sweet, hypnotic voice to drown out the stupidity of her songs' content, but she will only truly regain this fan by returning to her more operatic and serious style in the future. 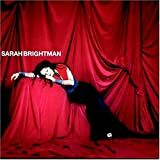 This is the first Sarah CD i bought myself, having listend to 'timeless' several times that i have permanently borrowed from my mum. I love it, I cant say if its my favourite because I love all her work. I really love 'Figlio Perduto', 'A whiter shade of pale', La Califfa', 'La Luna' and the hidden track at the end that follows after 'La Luna', 'Moon River'. Its all a very moving album, and takes you into a different world. I find it all very relaxing, even the more upbeat tracks. I really love 'La Califfa' its so beautiful. 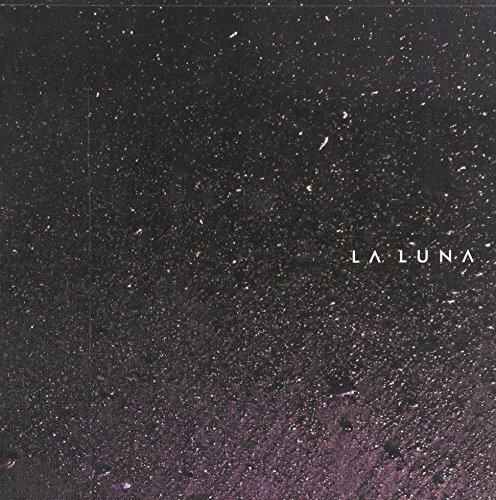 La Luna is great, as she makes it her own, its not the typical 'song to the moon'. I have wanted to write a review for ages, now I am here doing it, im finding it hard to put what i think into words. All I can say is, its an amzing album, don't listen to anyone who says otherwise. Her voice is very distinctave(however it is spelt) and the songs are all beautifuly sang. From buying this album, I have went onto to buy every other albums she has and appears in. I haven't got much to say about this album other than check out the track "He Doesn't See Me." Gorgeous! As Good As EDEN & TIME TO SAY GOODBYE!!! What a fun CD! And frankly, I love "Molly Malone"! I do wish they'd do less unison singing and get into more harmony. And too many ballads for my taste, but the uptunes are good for playing over and over! Their voices are all gorgeous. You'll enjoy this one for certain! I Love It!! hmmm... where can I rate this 25,000 stars...? I would recommend this to everyone! 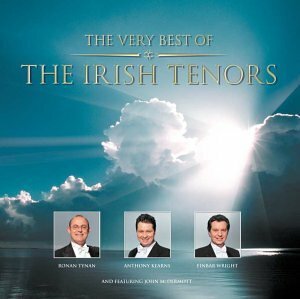 It has all four irish tenors, and it has a mixture of different songs from all their CD's! The only problem, in my opinion at least, is why do they have "Molly Malone" on it? There certainly are much more appreciated songs than that, and it certainly isn't one of their best. I wish they had "Red Is The Rose" with Finbar Wright singing in it instead of John Mcdermott for once. Maybe they'll have that on their next album they're working on! Can't Wait!!!!!!!!!!!!!!!!!!!!!!!!!!!!!!!!!!!!!!!!!!!!!!!!!!!!!!!!!!!! 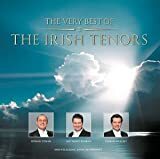 My wife and I attended the Irish Tenors concert in Ft Worth, Texas last night,February 27,2003, where we purchased this CD.A number of the selections they sang last night are included in this CD which is a "must purchase" for all fans of these magnificent singers. Buy this CD and you will thank yourself for years to come for your wise decision. This has to be my very favorite CD of all time. As I have everything else The Irish Tenors have recorded, I just love this one because it's got all my favorites from all the CDs. I especially can't get enough of Finbar's MAGGIE, and this has to be the VERY BEST version of DANNY BOY. I think Amazing Grace is one of the best songs that they have done with John McDermott. And the closest one can get to hearing angels sing is when one listens to Nearer My God To Thee. Their voices are all pure joy to listen to. And of course, all the fun numbers they do together is just a thrill. This CD has it all!!!! This is one CD which I listen to even while I sleep. A different but amazing side of Sarah! Okay, this is Sarah's first pop album. I've read all these other reviews and it virtually beckons me to write one too. Alright, so Sarah Brightman started her music career off with Hot Gossip and had her hit techno/dance song "I lost my heart to a starship trooper" which is an incredibly good song. That was her beginning, I mean yes she was raised singing classical/showtunes and dancing ballet but she started off with pop. After her Andrew Lloyd Webber age, she moved on to this and "Fly" with her boyfriend Peterson (who is phenomenally talented). Really, "dive" is a pop song with an aquatic theme, the lyrics are not very well done but they are pleasant and are not meant to be analyzed but rather to seep into your mind as you listen to this hauntinly beautiful music. This CD is definitely worth buying, every song is awesome especially La Mer (techno), Once in a Lifetime, and Second Element. This just proves yet again that SB can do any genre. She is my favorite vocalist and may be one of the greatest that has ever lived. She can do anything: opera (nessun dorma, doretta's dream, dvorak's silver moon (luna)), classical (alleluja, time to say goodbye), pop (second element, once in a lifetime, you take my breath away), pseudoclassical (no one like you), spanish songs (tu quieres volver, naturaleza muerta, tu, hijo de la luna), musical theatre (think of me, her entire "Songs that Got Away CD", Memory (in italian), rock/alt (how can heaven love me). She rules, she can even do hip hop (I loved you) and jazz (mr. monotony, macavity). She is by far covering every genre with incredible vocal agility and ease. She is a coloratura soprano opera singer, a chest voice alto in pop, and a ethereal soprano on anything else. Buy this CD, you won't regret it. Thanx. I recommend this album full-heartidly. Next to La Luna this is my favorite CD by her. But be warned. It takes several listen to really appreciate, just because it's so different. P.S. - I've seen some wild pictures by Sarah Brightman before but nothing prepared me for this. It's an innocent yet scandulous picture of her wearing (or not wearing) a near-translucent dress and golden cross! Only Sarah could get away with something like that. I recommend this disc to anyone who loves Brightman. I feel this is her best disc. The most touching performance and the sound is great. It was The Phantom of the Opera that first drew me to her music, and La Luna that convinced me that she had a lot more to offer. Having had both La Luna and Harem before Dive, I was at first sceptical, but nonetheless eagre to try. I was not disappointed! Took a bit getting used to, but after the third time, I was thoroughly hooked by the glorious lyrics and the marvelous melodies that have become her trademark, IMHO! The theme strategy works fine and gives the album a cohesion that takes you on a journey, down into the sea and upon it! It is another magnificent effort by one of the world's most gifted artists!